Hiking is probably the most popular Summer Activities in Niseko. From the foot paths that wind through the ski resorts, to mountain trails taking you into the surrounding national parks, or the iconic trek up Mount Yotei the hiking trails surrounding the Niseko arear are endless. Located only 40 km form Niseko is Lake Toya, a volcanic caldera lake in Shikotsu-Toya National Park. The lakes is roughly 36.5km around and contains four islands. Summers are beautiful here with green lush hills surrounding a crystal blue lake. During peak hours of the day the lake is enjoyed by motorboats making it a great spot for wake boarding and water skiing. In the evening after the motorboats are not allowed it becomes one of the best places in Hokkaido to take out a canoe or paddle a SUP. Surrounding the Niseko area are 4 major golf courses with the backdrop of the Niseko Mountain range, Mount Shiribetsu, and the always looming Mount Yotei as well as beautiful farm lands and flowery orchards. The warm summers and rolling valleys make for a great golf destination. Big snow means big run offs combine this with the rivers that roll out of the mountains of the Niseko range and you get the perfect combination for a thrilling white water adventure. Commercial trips run daily late spring through summer on the Shiribetsu river and Toyohiras river and for those experienced paddlers seeking an adventure of their own there are also plenty of smaller steeps creeks to paddle in the area. Hokkaido is paradise to road bikers and bike tourers in the warmer months. The valleys, rolling hills and endless scenery combined with rural roads, and slow speed limits make for a peddlers paradise. The same hills that are famous for wide open powder skiing and pillows make for great mountain biking after the snow melt. Whether you are looking for mellow cruises with views of the ocean, long adventures cross country trails, or high speed downhill runs Hokkaido is becoming a mountain bikers playland. 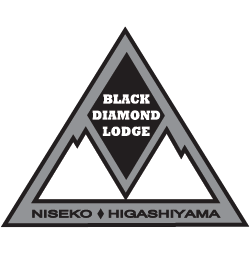 Beginning Summer 2018 Black Diamond Tours will offer a variety of summer activities for all levels of thrill seekers.